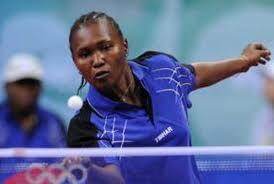 Five time Olympian, Bose Kaffo, has donated balls and bats to the Funke Treasure Table Championship (F3TC) which holds from September 18 to 21, 2018, at the Indoor Sports Hall of the Adamasingba Stadium in Ibadan, Oyo State. The F3TC, a four day table tennis championship for girls is an initiative of Funke-Treasure Durodola aimed at empowering the girl child with productive skills outside the pervasive focus of social media. Speaking at a novelty table tennis match for media personalities at the Ibadan Recreational Club Kaffo reiterates that Nigeria need such initiatives to further boost table tennis development from the early stages. Kaffo believes that if the country would focus on developing sports at all levels, in five years the nation would dominate Africa again. “I’m supporting my sister Funke Treasure Durodola with this so that others can come out to help develop the game in the right way, Kaffo told CSN. Durodola states the F3TC is a way of engaging girls and giving them a platform to add values to their lives. “There is too much focus on the social media, so if we can get girls to shift their interest to something more creative like table tennis, that would be worthwhile,” she said. “Nigeria no longer have iconic figures in table tennis, so we have to breed new ones and the best measure is to catch them young.